Roger Hawkins s an American drummer best known for playing as part of the studio backing band known as The Muscle Shoals Rhythm Section of Alabama. 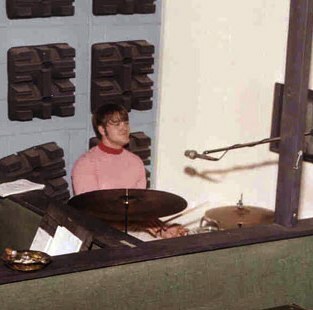 Hawkins drumming can be heard on dozens of hit singles, including tracks by Percy Sledge (When a Man Loves a Woman), Aretha Franklin ("Respect, "I Never Loved A Man", etc. ), Wilson Pickett (Mustang Sally, "Land of 1,000 Dances"), The Staple Singers, Johnnie Taylor, Cat Stevens, Duane Allman, Paul Simon, Bob Seger, Rod Stewart, Bobby "Blue" Bland, Traffic and Willie Nelson.